Q1: Which of The Odd Couple TV series leading men (Tony Randall or Jack Klugman), became a first-time dad at age 75? 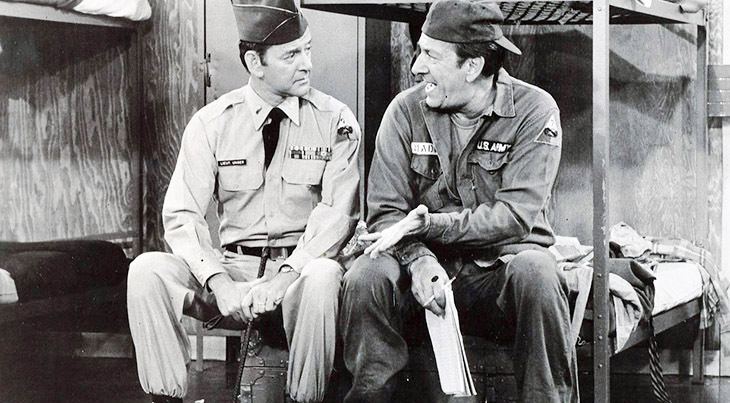 Q2: Which one of the two The Odd Couple roommates was the messy sportscaster - Oscar Madison or Felix Unger? Playwright Neil Simon's The Odd Couple debuted on Broadway in 1965 and ran for 2 years. Producer Garry Marshall developed the 1970s TV sitcom for Paramount Television. The Odd Couple catchy instrumental jazz theme song was composed by Neal Hefti for The Odd Couple (1968) movie starring Walter Matthau and Jack Lemmon, and adapted for the 1970s television series. Below, an alternate version of The Odd Couple theme song accompanying the series opening credits in 1973-1974. The Odd Couple series opened in September 1970 with finicky Felix Unger moving into Oscar Madison's apartment, due to a break-up with Felix's wife Gloria. In the series finale (40 years ago this week, March 1975) Felix and Gloria re-marry and Oscar is on his own again. In 1993 the two stars returned for a made for TV reunion movie, The Odd Couple: Together Again. 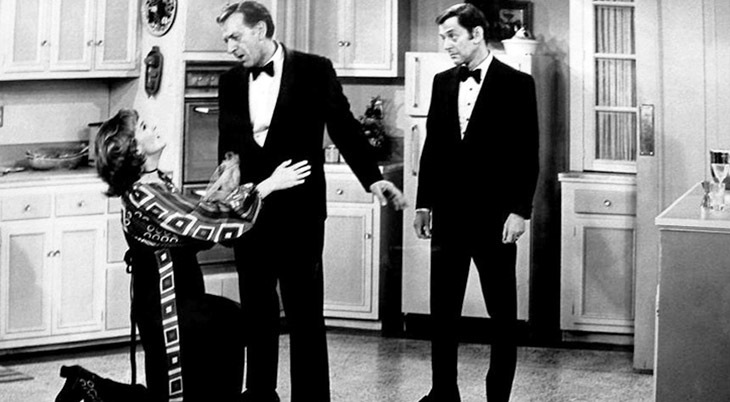 With the exception of the first season, The Odd Couple was always filmed live in front of a studio audience. The show struggled in the ratings and was cancelled at the end of every season, but kept getting renewed because of strong ratings for summer re-runs. 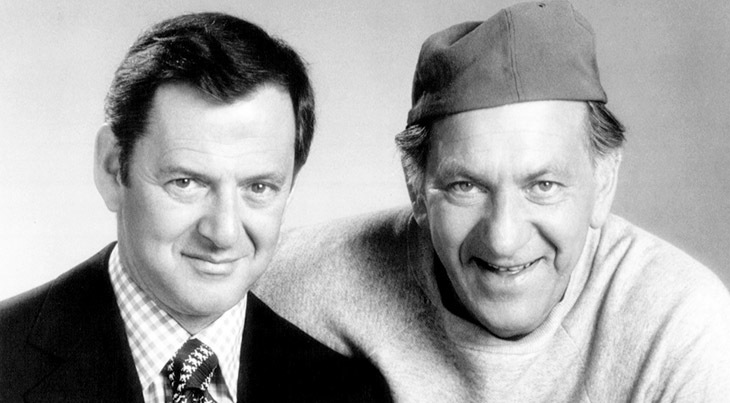 Both Tony Randall and Jack Klugman were nominated for acting Emmy's every year of The Odd Couple (Klugman won twice, in 1971 & 1973 and Randall won in 1975). After getting out of the army when World War II ended, Jack Klugman shared an apartment in New York City with actor Charles Bronson and began looking for acting jobs. He married actress Brett Somers (above) in 1953, and before they separated in 1974 they had two children together. Their divorce was finalized in 1977. Klugman found roles in feature films, television and on stage throughout the 1950's & 1960's; after The Odd Couple ended he starred in another TV show, Quincy, M.E., which ran for 7 years. As a senior citizen, Jack Klugman continued acting in guest and starring roles on stage, in television and in films throughout the next 3 decades, despite losing a vocal chord to throat cancer in 1989. After his first wife died in 2007, Jack Klugman married his live-in love of almost 20 years, Peggy Crosby, in 2008. Jack Klugman died in December 2012 at age 90. "Funerals should be planned as a celebration of life...a touch of humor doesn't hurt a bit." A1: In 1995, 75 year old Tony Randall married his 2nd wife, 25 year old Heather Harlan. They had two children and were married until his death at age 84 in 2004. A2: Jack Klugman took over the role of slob Oscar Madison from Walter Matthau on Broadway in 1965, and continued in that role on the TV series when it began in 1970.